Winter has well and truly kicked in here in the UK and we have all lost any remnants of our summer tans. Christmas party season has begun and even though we will mostly be wearing thick opaque tights with our party dresses it's still nice to have a little colour to the skin. This week Sam, Nic and myself (Stacey) went to The Hoste Arms Beauty and Wellness Spa in the beautiful town of Burnham Market, Norfolk to experience a Xen-Tan treatment. 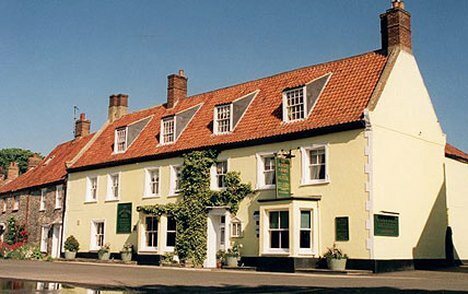 The Hoste Arms is a 17th Century Coaching Inn which not only offers a fantastic menu within their 5 different restaurants but also caters for all your accommodation needs within its 35 bedroom hotel. We visited their new Spa to experience the treatments they offer. Nic and Sam opted for the Xen-Tan spray on method and I had the Xen-Tan massage application method. 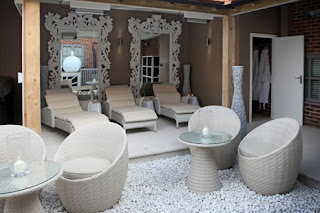 The Spa is a den of tranquility and has a very relaxing calm atmosphere. Until we arrived making lots of noise! We Particularily liked the wallpaper, light fittings and garden. Xen-Tan are and American brand that created their products especially for people who wanted an easy to use tan that provided a subtle natural tan whilst giving great moisturisation and smelling delicious! They provide the tan in many formulas to suit your needs including lotions,mousses and sprays. My treatment was carried out by a lovely therapist called Claire. She explained to me the treatment process and began applying the tan onto the back of my legs,back and back of arms using a Xen-Tan mitt. The mitts are a total 'must' to prevent the tell tale sign of tan application on your own hands when applying to yourself. Often fake tans have that horrible biscuity smell however I was pleasantly suprised with the smell of this tan. It smells of marzipan or almonds. The tan is safe to use on the face also but you need to be cautious around the hairline and brows as the colour grips onto the fine hair around your hairline. As the tan is tinted when you apply it you can clearly see where you are going and any spaces you have missed. Claire mixed a Xen-Tan moisturiser with the tan to apply to areas where the skin is slightly more dry, like the elbows and heels of the feet. The treatment took around 40 minutes to complete and I was able to dress immediately afterwards. Claire explained to keep the tan on for a minimum of 3 hours for a gentle tan or for the maximum depth of colour leave for 8 hours and then shower off. Don't be alarmed at how dark you initially look. Sam and Nic found it very amusing how orange/brown I looked and proceeded to make me walk around the shops of this up market little town looking like the village idiot! Please feel free to all laugh at my picture pre-shower! I kept the tan on for the 8 hours and then showered it off. My skin felt slightly dry afterwards which is pretty normal for my skin, but the colour was really nice. It was quite a subtle colour, not as dark as I have achieved with other brands, however for those of you who prefer a gentle tan rather than the full on bronzed goddess look then this tan will be great for you. It definately looks more of a realistic tan colour for this time of year and I did choose the medium colour rather than the dark. The tan will gradually fade after 10 days. I'm currently on day 4 and my skin just looks gently sun kissed. There are no signs of patching yet however my therapist recommended to exfoliating the skin to keep it patch free. Here is an after picture so you can see the subtle results. 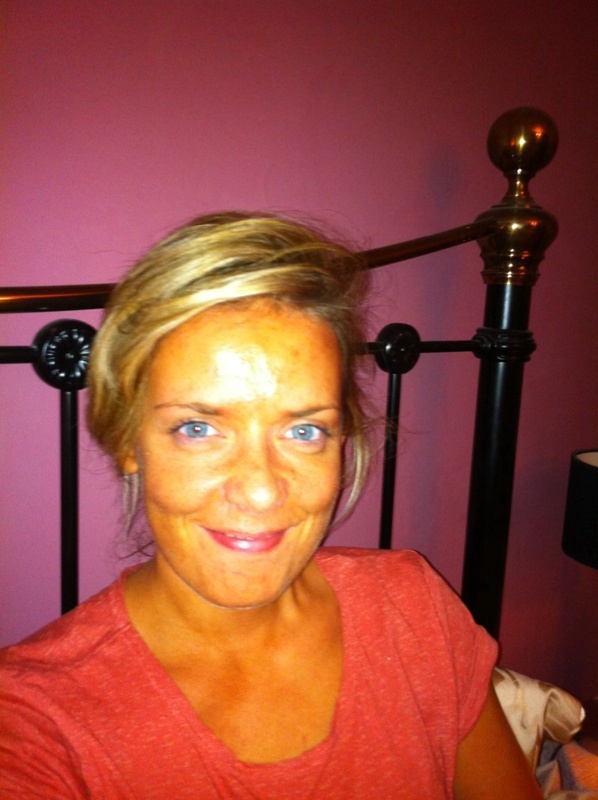 Sam here, Just hijacking Stacey's post to let you know my experiences with the spray tan. It was quick and easy and involved a shower cap and paper knickers... so pretty much as glamorous as it gets. Oh... did I mention Scones! Back to the tan, we stood in a booth, got sprayed, got dressed and left in time for lunch (forgetting my underwear). The spray tan smells of chocolate so it isn't too painful to leave on for any length of time. Most importantly and surprisingly, this tan did not streak or leave marks where I had put my tight jeans and bra on immediately after application. I still cannot quite believe that. 4 days on and I still have a nice golden glow. I would do this more often if I had time and if Xen-Tan was offered in salons closer to me. The Xen-tan finish is far superior in colour and finish than the spray tans I have experienced in the past (Sienna). 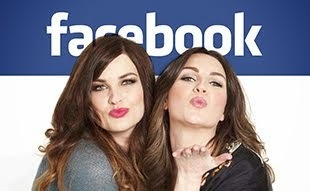 Below is a little video run down of our day. Oh boy, the first pic is scary, haha. But you all look lovely afterwards!! What a lovely little place! You all look beautiful after your tans! Different techniques for different eye shapes.